My sermon from the 14th Sunday after Pentecost (September 10, 2017) on Romans 13:8-1. Listen to the recording at the bottom of the page or read my manuscript below. Now, if it was easy to get to church this morning – awesome. That’s great. I hope whatever is working for you today stays that way for as many Sundays as possible. But I know not every Sunday is easy. Sometimes, your car doesn’t start or you might wake up feeling sick or maybe, just maybe, today is the day when the Run the Reservoir half-marathon, starting at the Oradell Reservoir and going through Emerson, is literally running outside your house at the moment you need to leave to make it to church on time. Sometimes the road to church on Sunday is literally blocked off. But sometimes that road is mentally, emotionally, and spiritually blocked off too. Even when we make it into this building, we’re still not really here. Our thoughts, maybe even our soul, is somewhere else. And if I’m honest, my mind right now is where it was last week, with my in-laws and extended family in Tampa and the rest of Florida. I was blessed and honored to officiate the wedding of my sister-in-law and the amazing person she’s going to spend her life with. The night before the wedding, we drove to the rehearsal in a downpour that flooded the streets, made the trees bend sideways, and reduced visibility to almost nothing. That storm didn’t last long but Hurricane Irma will. Maybe a pastor shouldn’t admit when they’re distracted on a Sunday morning but today, I am. So what can we do with scripture, with faith, and with Jesus, when we’re not as present as we want to be? In Paul’s Letter to the Romans, a letter we’ve been walking through over the last several months, we’re now in the middle of what some scholars see as Paul’s vision of the activated Christian life. I like to call this the “now what?” of the gospel – the how-does-this-Jesus-thing-matter-for-our-lives right now. For the first 2/3rds of this letter, Paul laid out his argument about why Jesus, why his death and crucifixion, mattered to these Romans who lived hundreds of miles away from where Jesus grew up. Unlike Paul, we have no record of Jesus taking a cruise around the Mediterranean Sea. Egypt and some parts of modern Syria was about as far as Jesus got and he wasn’t there for very long. Jesus was just this young guy who grew up in a province that was considered a backwater part of the Roman Empire. And after stirring up things by eating meals with people he shouldn’t, the Roman Empire killed Jesus in the most scandalous way possible. As a modern day faith community preaching and teaching about how awesome Jesus is and how a relationship with Jesus matters – it’s sometimes hard for us to remember that, in Paul’s day, Jesus’ story wasn’t really an asset. Jesus never raised an army, he never defeated a foe, he never secured some great victlory, he never won – and most of the people who followed him were the least of the least: women, slaves, Gentiles, tax collectors, and fishermen. From a Roman perspective, Jesus’ whole story was a distraction from who God truly is. The creator of everything couldn’t be defeated so there’s no way God and Jesus could be the same. Jesus’s story, Jesus’s cross, is a distraction from what we want God to be. We don’t want a God who dies; we want a God who can’t lose. 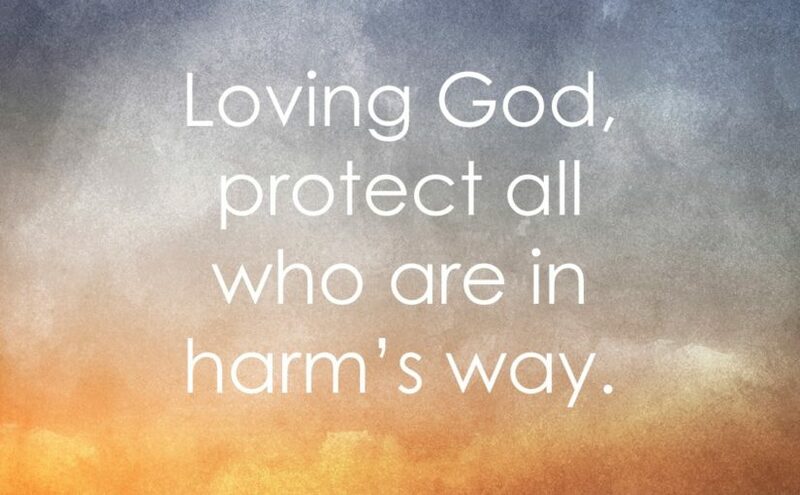 We want a God who can turn away the storms – rather than a God who lives with us through them. The Romans wanted a god who overcomes – who displays power in ways that we can copy and helps us overcome our own faults, fears, and problems, forming us into who we think we want to be. That kind of god is a god who wins but the god we get is the God who loves. And that love…can be weird. We sometimes take the words Paul uses here, words that come from the Old Testament and that Jesus himself uses, as some version of the golden rule: if we want other people to treat us well, then we should treat them well to. But that rule depends on what it means to be treated well and who gets to decide what that looks like. Every culture and society has rules about who gets treated in what way; which kind of people are owed certain honors and privileges and respect and which ones aren’t. A janitor doesn’t have the status a CEO has which means culturally, that janitor is lower on the being treated well ladder. We can say that the janitor deserves respect. We don’t give the janitor a red carpet arrival. We save that for the CEO who makes 4000 times that janitor’s salary. We carry this culturally defined list of who is owed what – inside of us. It’s something we are given because we live here. And the Romans had their version of this list too. So when Paul talked about love, the Romans thought they knew what he meant. The Emperor, the rich, the person who wasn’t a slave, is owed a different kind of love because their status is different from the poor, and the slave, and the sick. But the “now what?” of the gospel, of Jesus’ life and death and resurrection means, that the rules of what we think others are owed is undone. Everyone is worthy of love. Everyone is owed love. And every other rule that causes us to treat others differently in ways that are not life giving – those rules are a distraction from what being with Jesus is all about. Love is love is love which is given to us by a God who knows that the walls we build between each other can only come down if the grace of God comes straight into us. And that grace changes us into living, and breathing, and being who God wants us to be rather than into who we think we ought to be. That grace knows that, sometimes, we’re going to be distracted. Some Sundays, it’s going to be hard to get to church. It’s going to be hard to hear and sing and pray because our soul feels like it’s a million miles away. Yet even when we are distracted from Jesus, Jesus isn’t distracted from us. He’s still in the words, even when we can’t hear them. He’s still in the bread, still in the drink, still in the prayers we might need the people around us to speak on our behalf. He’s here because he promises to be. And there’s nothing we can do to break the promises Jesus makes. Because the Jesus who lived like us, who loved all of us, and who died for us is the same Jesus showing us how we can live for everyone else. In the words of a colleague of mine who is working in Texas and whose church spent all this week clearing out homes damaged and flooded by Hurricane Harvey, “a loved people serve people.” And there is nothing that can distract Jesus from loving us.